Just who is playing bingo online? The answers may surprise you. Bingo is a far more popular game in the UK than it is in the U.S. Though, online bingo got its start in the US first, it is our friends across the pond who now are crowned as the online bingo country of the world. Unfortunately, Bingo has a bit of a weird reputation in the U.S. Most Americans see the game as something only older folks play. However, this is quite false. Most bingo players around the world only play bingo online because of the chance to interact with people. In traditional bingo halls, quiet is the rule. Speaking during the game will get you a lot of dirty looks. But in online bingo, chatting is encouraged. The ability to talk with other people while playing the game is one of the major draws to online bingo. Playing online bingo allows players to socialize with people all over the world and make some money while doing it. Perhaps best of all, playing the game is inexpensive; you can play free bingo games and find games that have cards as cheap as 1 cent per card, so you can play for hours and hours with only a small budget. Plus, people with extra money to invest, might have a higher probability of winning but, here at Bingo Mania, we’ve had players win bingo with just one card. It’s not just for an older demographic either. While many players do tend to be older, about a third of all online bingo players are under the age of 35, and the number is on the rise. The biggest reason for this is mobile bingo. When you can play online at any time, you don’t have to wait until the evening where a bingo game could take up precious, lovely time. With all these changes, bingo is losing its image in America as something only an older demographic play in quiet halls. 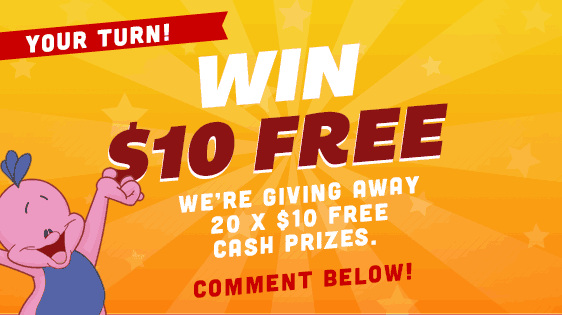 Play online bingo today by signing up for an account on BingoMania.com, or log in to your account to see for yourself how fun it can be to meet people from all over the world while playing the game you love. Plus, now with the addition of video slots and more side games, bingo is attracting more players. 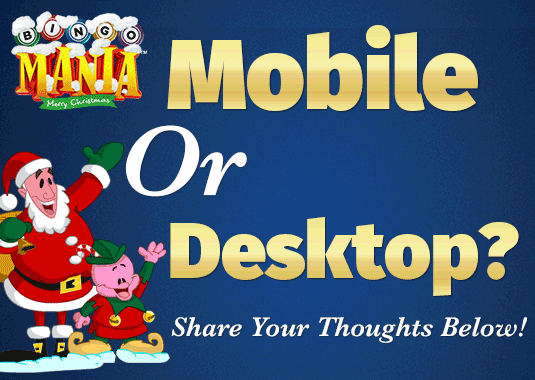 Do You Prefer to Play Online Bingo On Your Mobile or Computer? Now it’s your turn, tell us if you prefer to play bingo on your mobile or desktop. Winner’s will be picked and credited by Friday, Dec 11th.